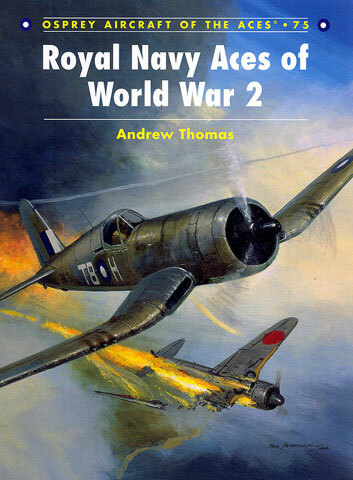 Royal Navy Aces of World War 2 is amongst the latest batch of releases from Osprey Publishing and is number 75 in their Aircraft of the Aces series. Finding information on Fleet Air Arm operations during World War Two is not easy. Finding information on the pilots and their endeavours is even harder. Until now. This new volume from Osprey goes a long way to addressing these quandaries. It takes you along on a ride from the early actions in Blackburn Skuas off Heligoland in the September of 1939 to combat in Seafires, Hellcats and Corsairs in the waters off Japan in the August of 1945. No less than 36 naval pilots became aces during World War Two with a further 18 having made claims of five or more. The volume follows Osprey's tried and true formula in layout and composition. It is made up of six chapters, four appendices and an index. Also included are ten pages of colour profiles – thirty six profiles in all (by Chris Davey). 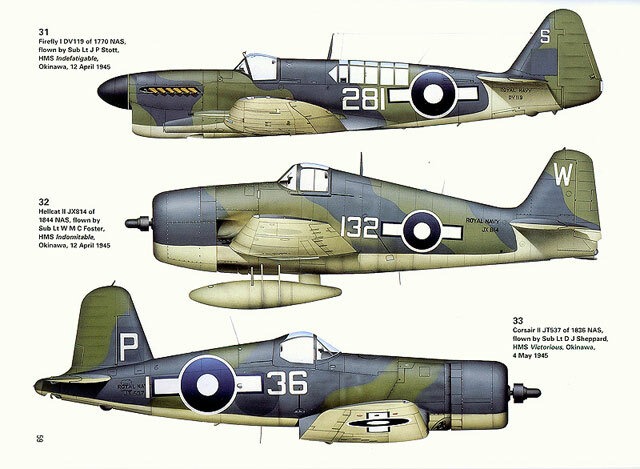 The profiles cover just about all of the fighters operated by the Fleet Air Arm and its pilots (both land and carrier based) in their differing colour schemes and markings. Comprehensive captions are provided for each of the colour profiles and these are contained within five pages as one of the Appendices. 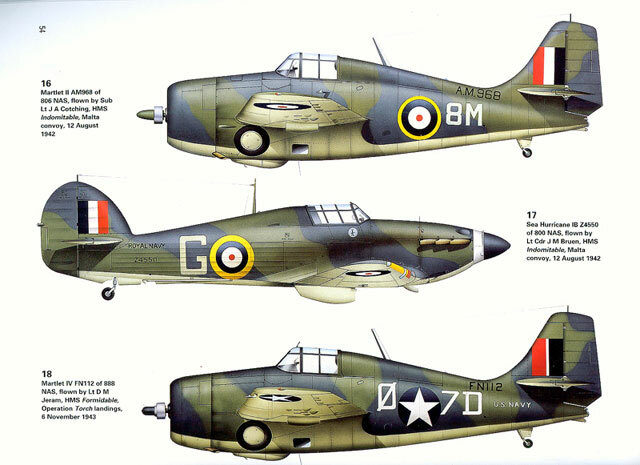 All of the Royal Navy aces are listed in one of the appendices. This appendix provides you with the pilots name, his service – not surprisingly, the vast majority of them are either Royal Navy, Royal Marines or Royal Navy Volunteer Reserve, however, there are a couple of Royal Canadian and Royal New Zealand Navy Volunteer Reserve amongst them as well as a single South African Naval Volunteer Reserve and Netherlands Navy one – their ultimate score, and the squadron(s) they flew with. As with the majority of Osprey Aircraft of the Aces books I have seen, there are many illustrations. There are 94 black white photos in all as well as the above mentioned colour profiles. The book itself has 96 pages printed on glossy paper between thin cardboard covers. Whilst this book does not provide the modeller with clear close-up shots to assist with detailing their models it does provide him or her with the story behind the Fleet Air Arm Aircraft they are modelling.